All are welcome, we always have a geat, this is for the whole family. Meeting at Sams Club (off 301 Hwy) parking lot at 9:30am. We will leave at 9:50am to cruise 301 and then slam into event together. All makes wanted! 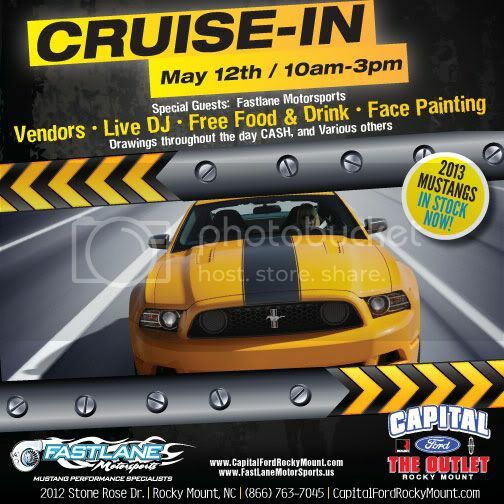 Please visit us at www.capitalfordrockymount.com for more information.